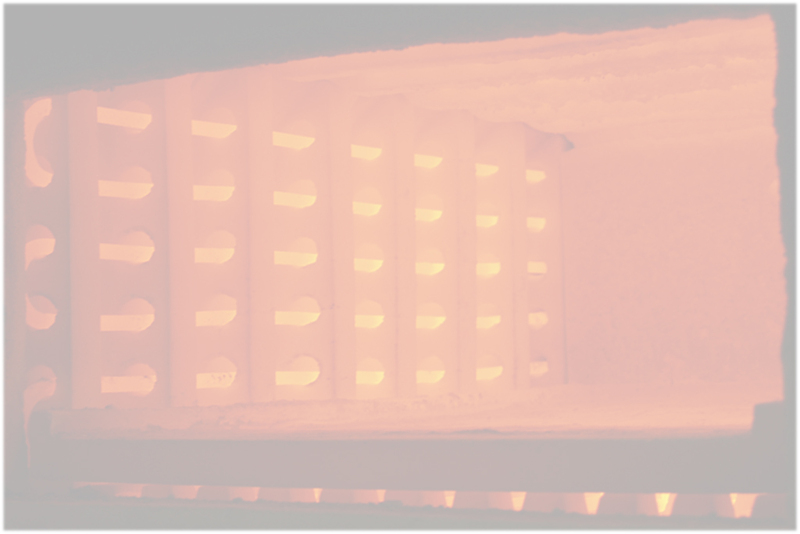 Fire assay derives its name from the fact that the sample being analyzed is placed into a crucible, well mixed with various chemicals, and placed into an 1800-degree furnace. One of those chemicals is lead oxide; another is flour. At 1800 degrees one can be assured that flour will burn. In order to burn it needs oxygenwhich it gets from the lead oxide. The lead oxide is converted, or reduced, into pure lead. This process results in thousands of small droplets of lead forming throughout the crucible. As they form they collect all the precious metals from the sample and sink to the bottom of the crucible in a pool of molten lead. Above the pool is a layer of molten glass, or slag, that carries off the base metals and other contaminants. When the process is complete the contents of the crucible are poured into a conical mold. After cooling, the slag is discarded. The lead “button” now contains all the precious metals contained in the original sample. It is placed into a “cupel”, a solid cylinder of bone ash with a shallow depression in the top. When heated to 1750-degrees, the cupel slowly absorbs just the lead. The precious metals are not absorbed, so they continue to concentrate until, when the last of the lead is absorbed, only a small bead of precious metals remains. Depending on their relative concentrations, various methods are employed to separate and quantify the precious metals in the bead. These can include chemical, spectroscopic, and gravimetric techniques. One of the advantages of fire assay is the ability to use a relatively large sample size compared to other techniques. This is especially important with powder, or “sweeps” samples that frequently contain small pieces of free-floating precious metals. A larger sample size tends to mitigate errors resulting from the presence of these pieces. While fire assay is labor intensive and time consuming, it is the best technique available to assure the most exacting results.